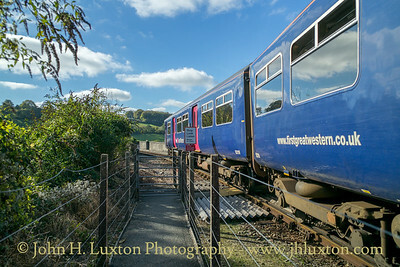 A surviving section of the "Withered Arm" comprising the former Southern Railway (LSWR / PDSWJR) line from Plymouth to Bere Alston and the Bere Alston to Gunnislake section of the former Callington Branch. 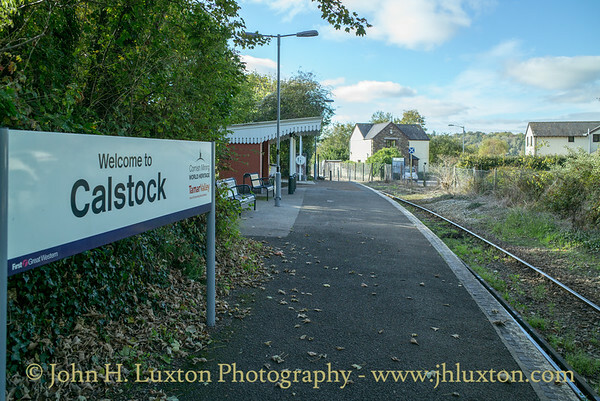 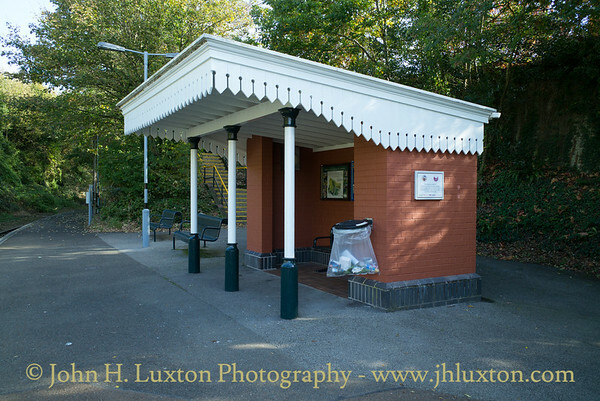 The delightful station at Calstock is very smart and well maintained despite being unstaffed. 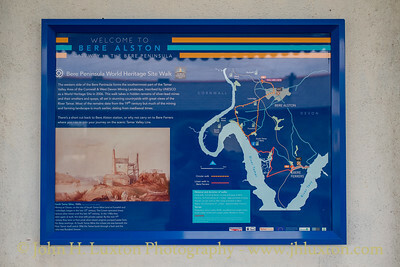 Information boards inside give details of the areas's railway and industrial history and local walking routes. 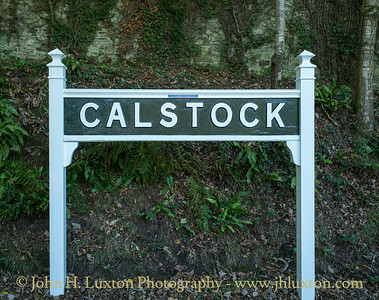 The original concrete Plymouth and South Western Junction Railway running in board was gifted to the railway in 2015 as recorded on the small blue plaque which reads: "This original early 20th Century running in board was gifted to Calstock and the railway by Michael and Jean Hodge and re-erected on the 107th Anniversary of the opening of the Callington Branch of the Plymouth, Devonport and South Western Junction Railway - 2nd March 2015. 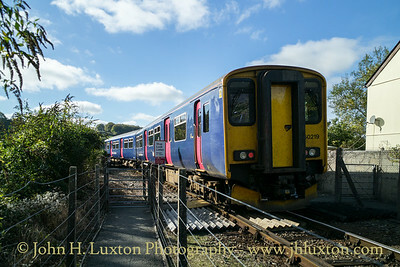 DMU 150219 departs Calstock with the 11:45 Gunnislake to Penzance via Plymouth train. 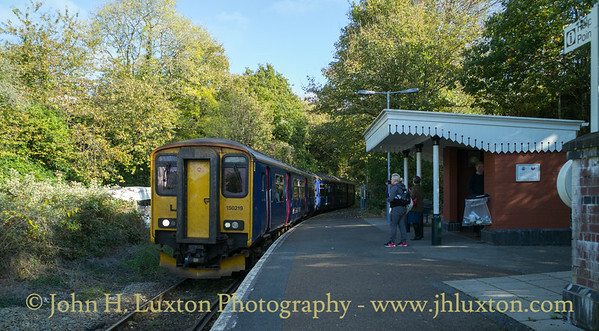 DMU 150219 arrives at Calstock Station withe the 11:45 Gunnislake to Penzance via Plymouth train. 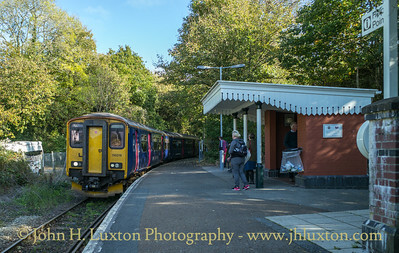 First Great Western liveried DMU 150219 arrives at Calstock Station withe the 11:45 Gunnislake to Penzance via Plymouth train. 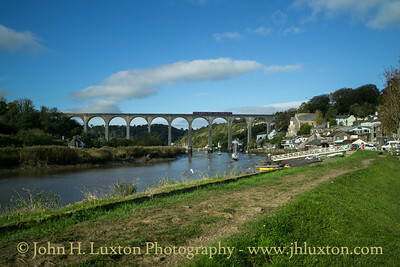 The 10:54 Plymouth to Gunnislake train crosses Calstock viaduct operated by DMU 150219. 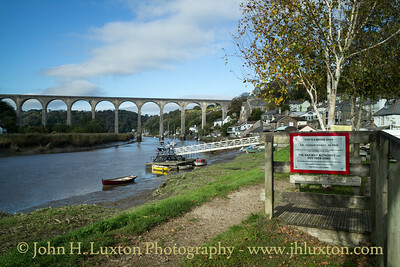 Calstock Viaduct the sign is interesting regarding the viaduct given that it is so far away. 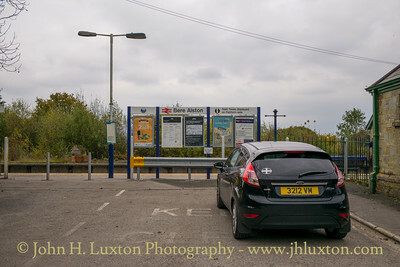 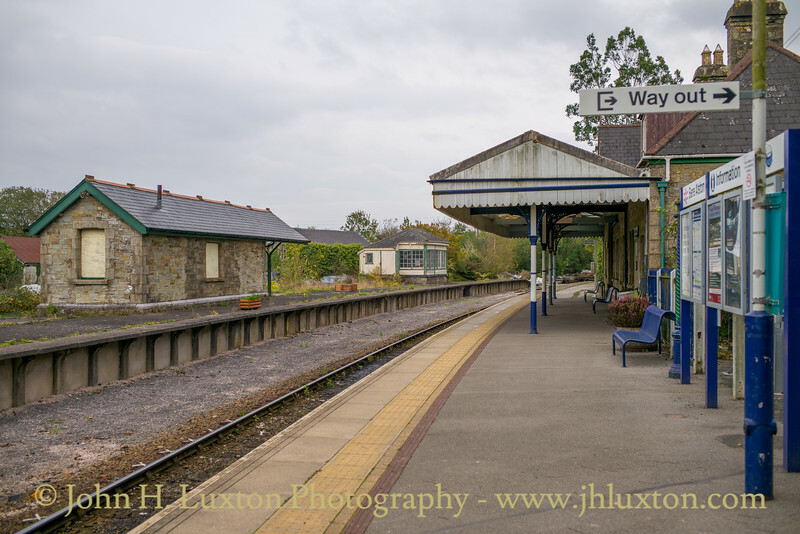 Bere Alston Station forecourt - Sunday October 23, 2016. 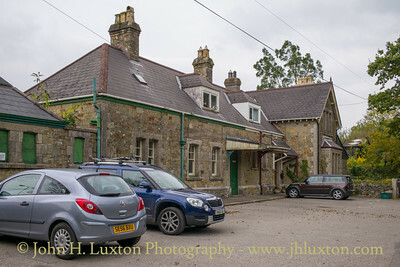 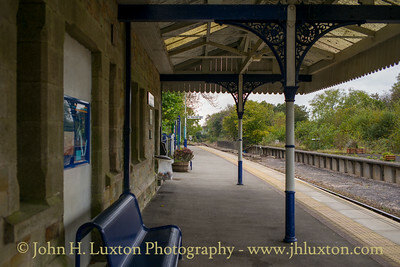 Bere Alston Station looking towards Tavistock. 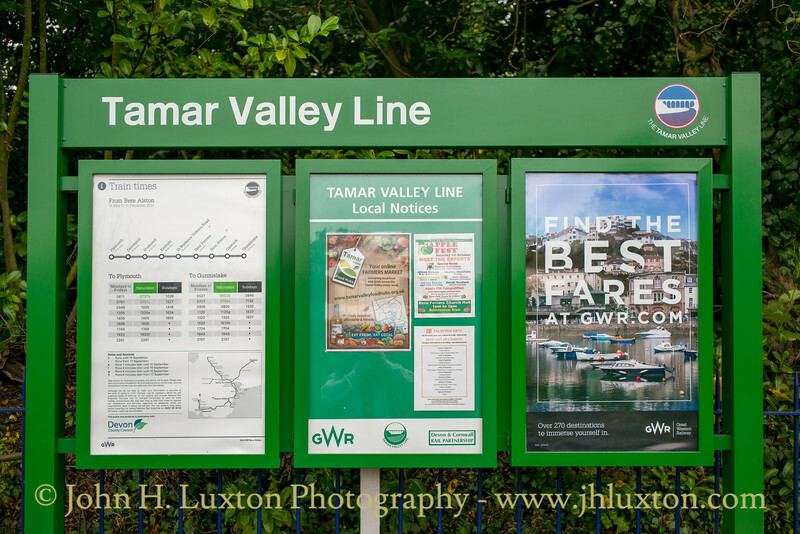 Modern Information board in British Railways Southern Region green. 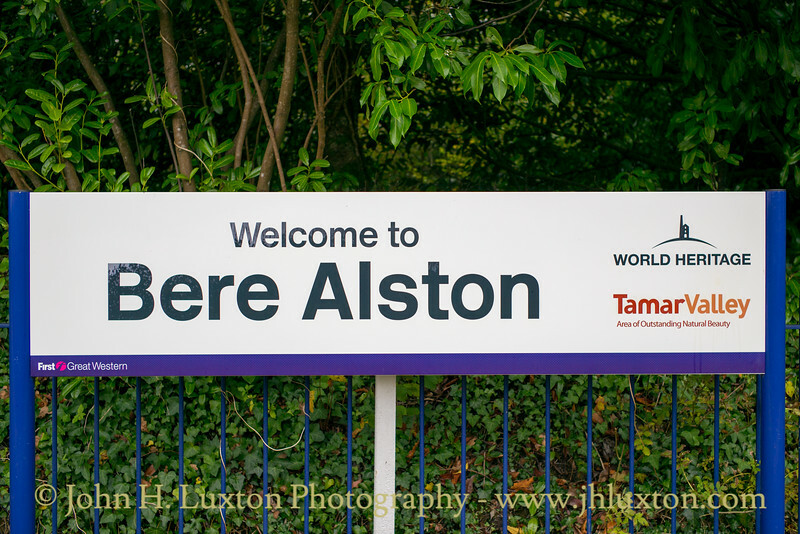 Station running in board at Bere Alston Station showing the Cornish Mining World Heritage Site logo. 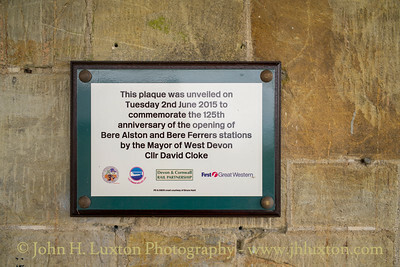 Plaque commemorating the 125 Anniversary of the opening of Bere Alston and Bere Ferrers Station. 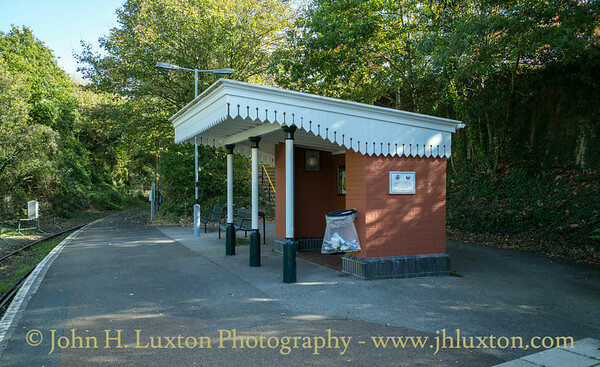 Bere Peninsula Cornish Mining World Heritage Site Walk displayed at Bere Alston Station. 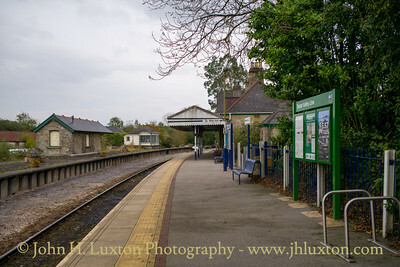 Bere Alston Station looking towards the junction with the Gunnislake Branch. 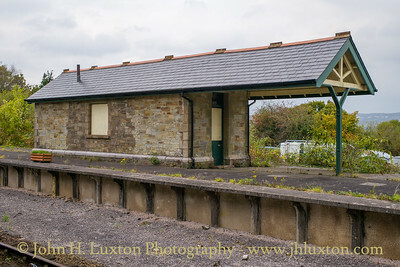 The recently re-roofed island platform building - when services to Tavistock are reinstated this building is likely to be required once again.